One of my favorite ways to relax at home is to watch TV and movies with my husband. We always have a long list of current shows we are watching and since it is October, most of the seasons are starting up again! There are a lot of shows that we watch together, but Ernie puts his foot down when it comes to my love of E! reality TV like ‘Keeping up with the Kardashians’. That show is solely reserved for me when he golfs on the weekend. But with the changing season of fall 2018 tv + movies, we have a long list of what we are currently watching at home. Our living room Tv doesn’t have the built-in capabilities to connect to our phone or stream, so instead, we use products like Google Chromecast. It’s so affordable to upgrade your Tv and connect to your favorite shows instantly. Plus, it makes me feel like I am living in an episode of The Jetsons when I can control the TV hands-free, with Chromecast and Google Home working seamlessly together. This holiday season, bring the family together with a Google Chromecast. Watch movies, shows, live TV, YouTube, and photos streaming on your TV from all your family’s devices. See it. Stream it. 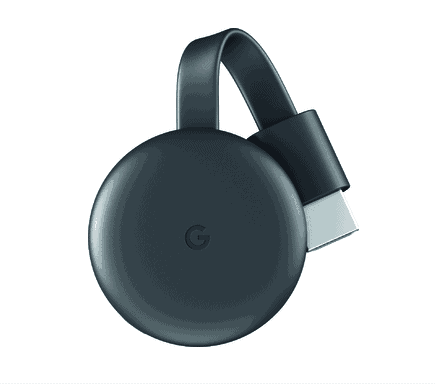 Find out more about the Google Chromecast by clicking here.